Allister was locally born and bred, and raised on a dairy farm in the Waikato. Allister’s working life has been varied from doing a trade in painting and decorating, then moving on to a dairy farm as farm manager, then on to lower order sharemilking. He also has a certificate in production management, which is a great help in this field of work. Since 2003, Allister has been involved in sales in the building industry, with three years as a sales rep giving a good grounding in both the property market and dealing with people. Allister started real estate to further his career in 2009 and, in his first year, Allister achieved many different awards. 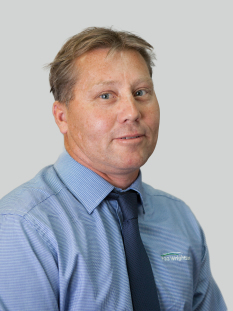 Allister has lived in Te Aroha most of his life and in that time has built strong relationships with many of the professionals in the area. Allister is hardworking, honest and upfront, and enjoys the challenges of both a buoyant and difficult market, meeting new people and working out strategies to achieve the best results for their real estate needs. Allister has extremely good negotiating skills that he uses to the full advantage of his vendors and purchasers. Allister likes the outdoors and is a keen boatie. He enjoys water skiing, fishing and spending time with his family.